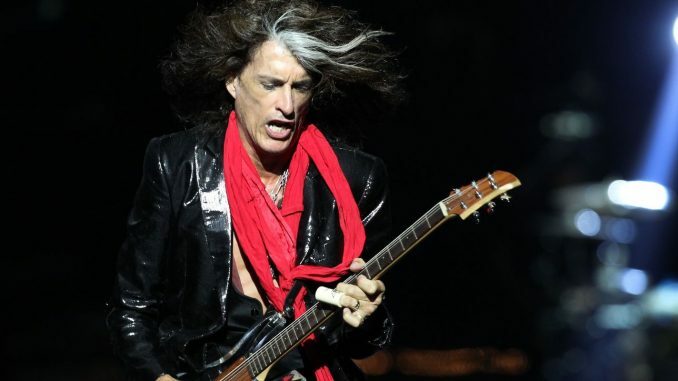 Legendary guitarist, co-founding member, principal songwriter and co-producer of Aerosmith Joe Perry premieres “Aye, Aye, Aye, “the lead single from his forthcoming solo album, SWEETZERLAND MANIFESTO due out January 19. The gritty rocker “Aye, Aye, Aye,” which features Robin Zander of Cheap Trick on vocals, can be streamed via Spotify here. 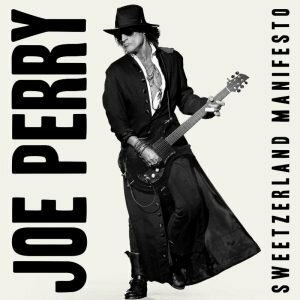 SWEETZERLAND MANIFESTO was recorded at Studio 1480 in Los Angeles and produced by JOE PERRY and Bruce Witkin, with Johnny Depp serving as executive producer and additional help from associate producer Jack Douglas who co-wrote and co-produced a number of tracks. It was engineered by Witkin and Tony Perry. The album was mixed by Tony Perry with Ari Blitzserving as assistant mix engineer at After Master in Los Angeles. On the album, JOE also teams up with sons Tony and Roman on “Spanish Sushi,” which was produced and arranged by The Perry Boys with JOE on guitars and bass, Roman adding synthesizer programming and Tony handling drum programming.